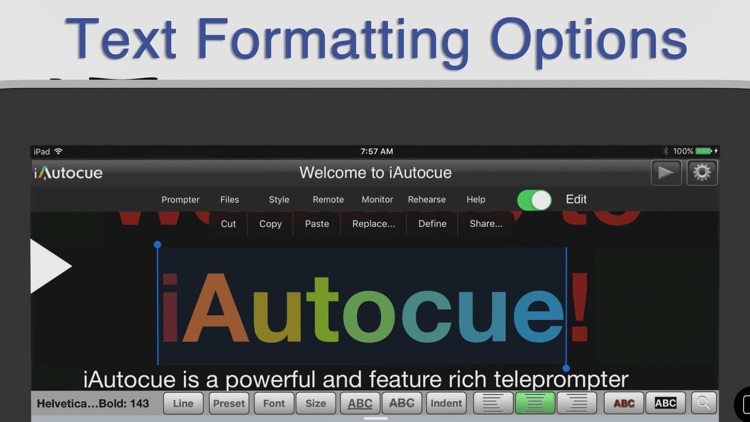 iAutocue is a feature rich teleprompter for iPad designed to be powerful and yet intuitive. Includes a multitude of file sharing methods and remote controls. 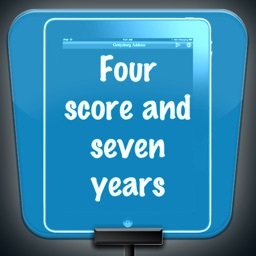 Display the content on an external monitor and even record video of yourself giving your speech. 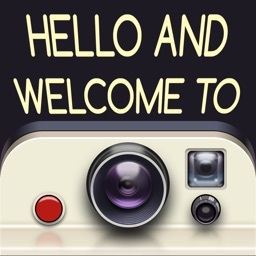 Check out iAutoscroll, the free remote for iAutocue. 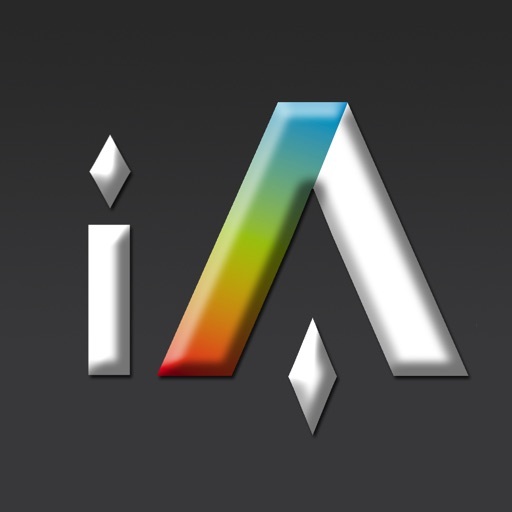 iAutocue offers a variety of file sharing methods to assist in moving files between devices as well as a computer. 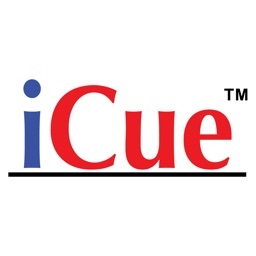 - iTunes File Sharing: Copy files to and from iAutocue using iTunes. - Email Files: Email files from iAutocue and open files from other apps such as Mail. 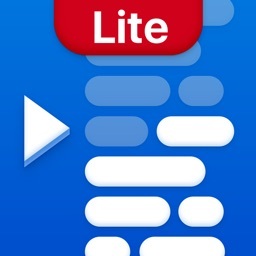 - iOS File Sharing: Send files directly from one iAutocue to another. - Web Server Browser: Use built-in browser to load web page from another web server to download files or the entire database from another iAutocue. 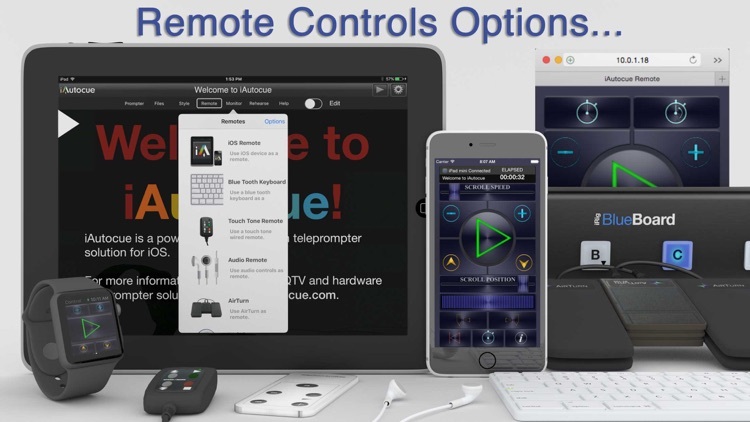 iAutocue has a variety different remote options. 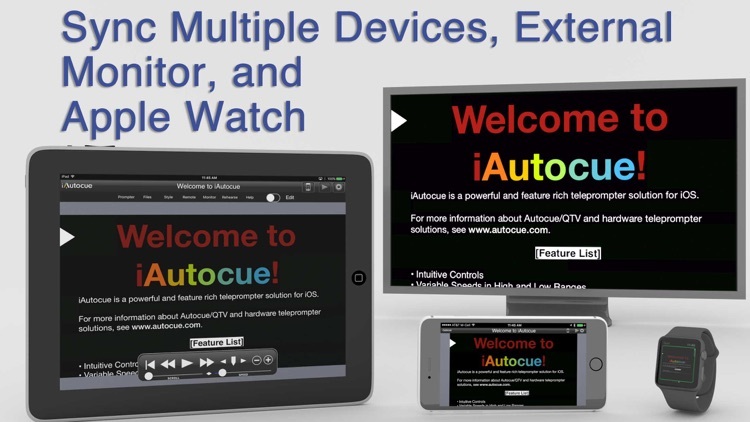 - iOS Remote: Use another iOS device running iAutocue or iAutoscroll to control iAutocue. Synchronize multiple devices. - Key Commands: Configure key combinations to control most prompter features. 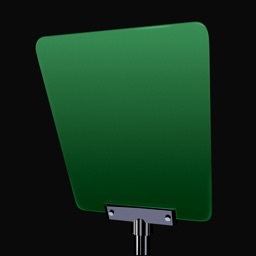 iAutocue on the iPad provides a lightweight and mobile and yet powerful teleprompter solution, text or music reader.